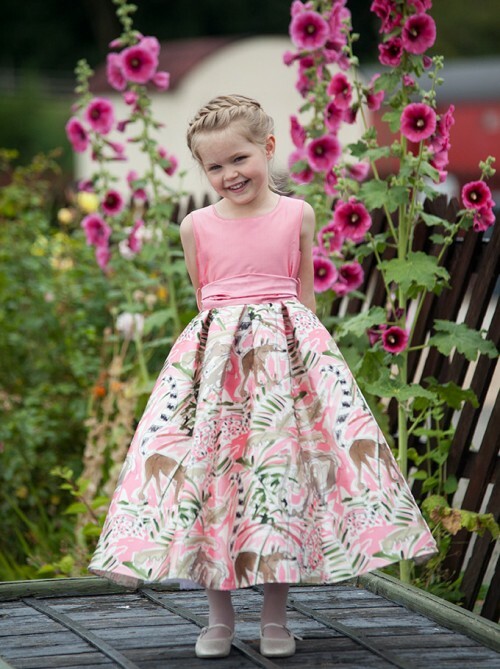 A stunning and original dress with an illustrated jungle print skirt and matching pink silk bodice and sash. A real statement piece for parties or flower girls! Condition: This dress is a sample and in good condition.